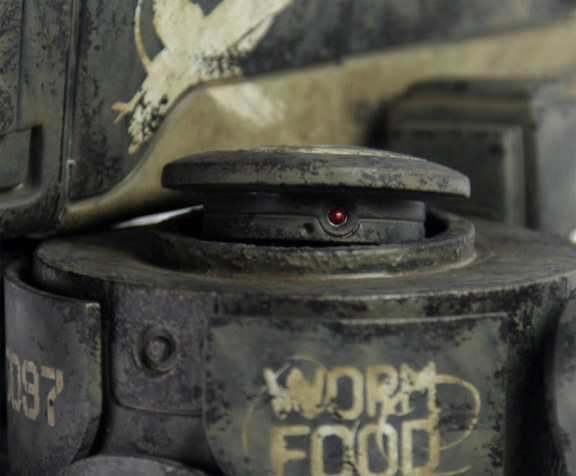 World War Robot is a graphic novel illustrated by artist Ashley Wood and written by both Ashley Wood and TP Louise. The picture book combines an unconventional use of pairing painted images and essays to tell small parts of a larger story. The prose include excerpts from various diaries, journals and transcripts based around the humans involved in a fictional war in the 1980-1990s known as the Great War. WWR format figures are 1/6th scale toys of the various bots and humans of the WWR Universe, while their smaller WWRp counterparts are half that size at 1/12th scale. 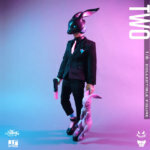 The above story (text and links) is taken from the ThreeA Wiki, which is a great resource for the newbie that wants to learn more about the universe that Ashley Wood has created. If you'd like a more hand-on introduction, we highly recommend that you pick up a WWRp-sized ThreeA figure like the Heavy Brambles we currently have up for preorder. The WWRp-sized toys are quite affordable, priced between $45 and $65 each. 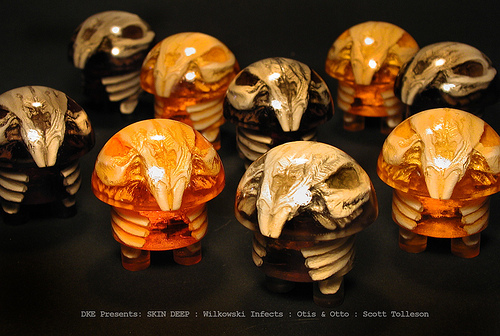 At about 7 inches tall, all of them feature a mind-boggling level of technical detail. There are so many points of articulation that it's nearly impossible to count them all. The weathered paint technology is more detailed than that of almost any other toy manufacturer. 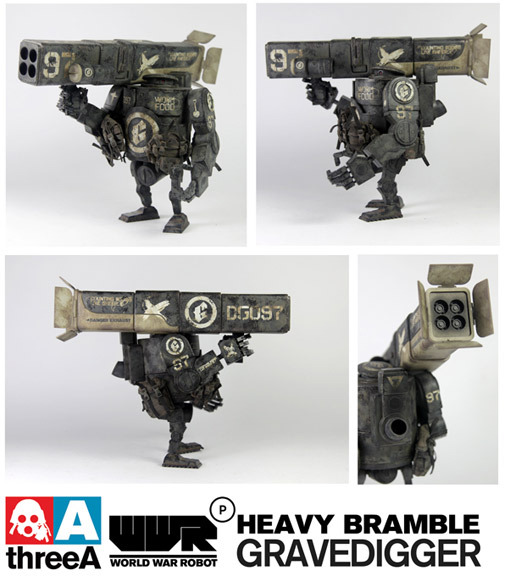 The figure pictured here is the Gravedigger colorway of the WWRp Heavy Bramble. You can preorder one from us here. All the figures have backstories and interesting things painted on their weapons and bodies... Gravedigger has "text on his right forearm and on his Aunty Jack 4 Way RPD weapon [that] reads: 'Counting bodies like sheep' and [it's] a quote from the song 'Pet' by the American band A Perfect Circle." 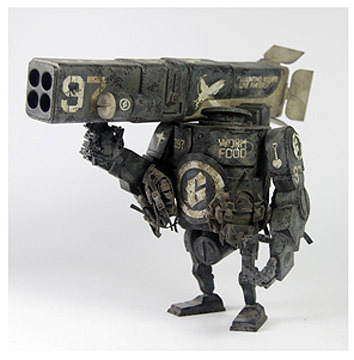 We also have several other colorways up for preorder, so go to our ThreeA page to check them all out! There are about 8 "retailer" colorways of the Heavy Bramble available: 5 main colorways available to all retailers, and regional exclusives that are only available to retailers in that region. I believe the 3 regions are USA, Europe and Asia. There is a distinct difference between the normal ThreeA toys offered directly to consumers, and the ones sold to retailers: ThreeA will offer certain colorways or figures to the collectors and others to retailers, which keeps the act of collecting pretty interesting. You can't buy all the ThreeA figures from any one source. We'll cover the other 5 Heavy Brambles we're getting in subsequent blog posts. 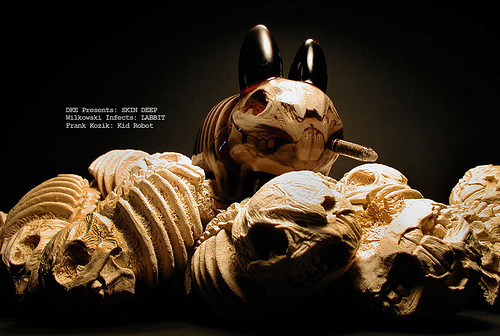 Scott Wilkowski has been busy putting skulls, skeletons and creepy creatures inside favorite designer toys. 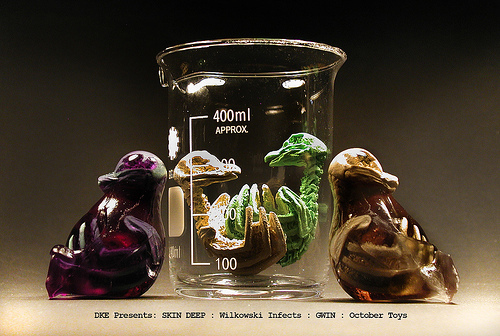 For Skin Deep, he infects Buff Monster's "Buff Monster", Luke Chueh's "Possessed", Frank Kozik's "Labbit", October Toys "Gwin", Suckadelic's "Sucklord" and Scott Tolleson's "Otis & Otto". $100 - Buff Monster's Buff Monster 3"
Following the debut, Skin Deep will travel to Lulubell Toy Bodega in Mesa, Arizona www.lulubelltoys.com (December 9th - December 30th) and then to Screaming Sky Gallery in Portland, Oregon www.screamingskygallery.com (February 23rd - March 25th). All new hand-made art toys... Just in time for the Holiday Season!! 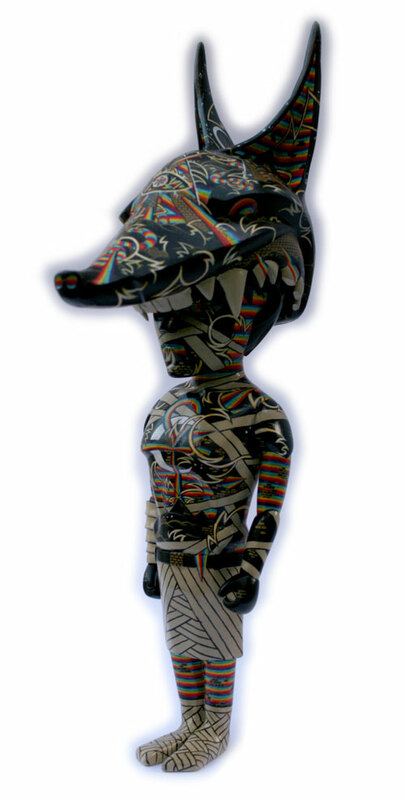 Every year, MF Gallery selects the best Art Toys for the annual "MF Toys Show". Because of their love of toys, curators Martina and Frank Russo have been putting together this show since 2003- long before Designer Toys were in the mainstream. 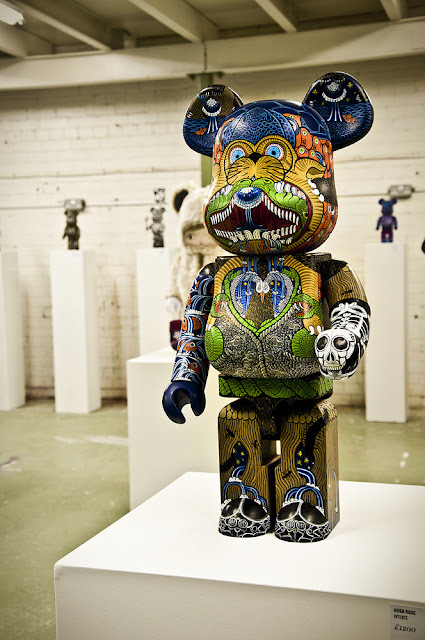 The MF Toys Show focuses on toys that are 100% hand made by artists, not painted vinyl or customized toys. 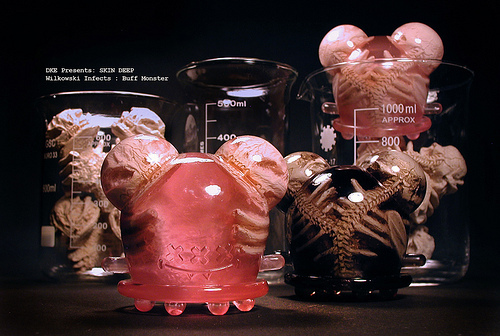 These toys are made of materials such as cast resin, clay, fabric, animal bones, paper, wood and more. Most of the toys are priced between $10 and $100, and are perfectly affordable holiday gifts.... Here's your opportunity to stick it to the big corporations by supporting a local shop and buying cool gifts for your family and friends! All of the pieces in this show are one-of-a-kind originals, making them very sought after collectibles. 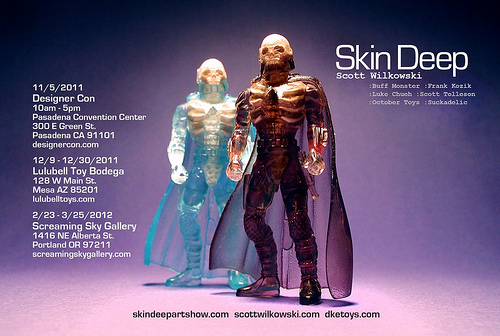 Some of the artists are toy makers, others were asked to create a toy especially for this show. Artists include: Drew Maillard, Esther Vershoor, Moses Jaen, Bianca Panzram, Christine Benjamin, Max Reinhart, Jade Perez, Carisa Swenson, John Weisgerber, Sheri Debow, Scott Garrett, Jacqui Gallant, Peggy Wauters, Jaz Harold, Nicole Johnson, Nate Groppe, Junker Jane, Kamila Mlynarcz, Greg Maillard, Sigal Inbar, Heather Gargon, MF Toys and more! 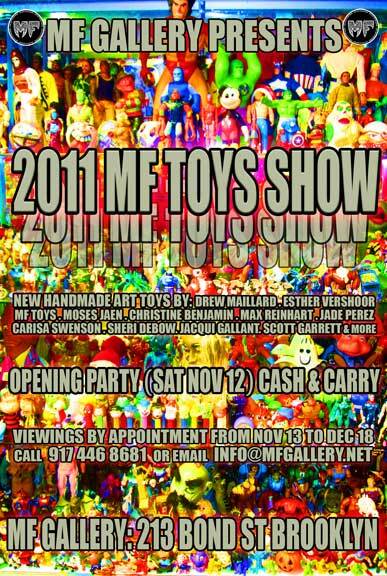 The 2011 MF Toys Show will open on Saturday November 12th. Many of the artists will be attending the opening party from 7 to 10pm. The party will be a "Cash & Carry" event. Buyers will be able to take their toys home with them that very same night! The toys are also available for viewing and purchasing online here. The 2011 MF Toys Show will be open by appointment until December 18. Contact Martina or Frank by phone (at: 917-446-8681) or email (at: info@MFgallery.net) to make an appointment to see the show. For more information, to request high resolution images or to set up interviews, please contact Martina Secondo Russo at info@MFgallery.net or (917) 446-8681. 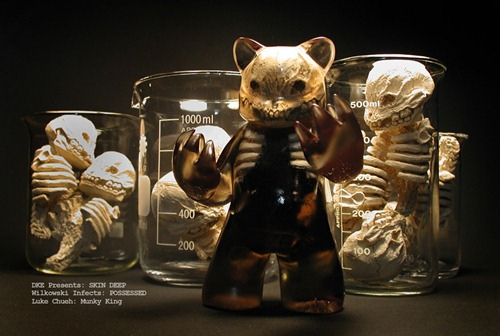 Read OppLOL's review of Gary Baseman's new mini figure series from Kidrobot. You can purchase blind boxes and full cases from Tenacious Toys here.